Started racing sprint go-karts in 1984 at age 13. 1985 - Indiana State Karting Class Champion in 4-Cycle Jr.
1986 - Mid-States Enduro Series Class Champion in 4-Cycle Sprint. 1990 - 3rd and 5th place finishes in the Yamaha Lite and Yamaha Heavy Enduro Classes at Daytona Int’l Speedway. 1992 - Indianapolis Region SCCA Rookie of the Year award winner. 1993 - SCCA Central Division Showcase Series Points Champion in Formula 440. 1994 - Qualified on pole for SCCA Formula 440 National Runoffs. 1996 - Finished in 6th place in SCCA C Sports Racing National Runoffs. 1998 - Finished in 6th place in SCCA C Sports Racing National Runoffs. 1999 - Qualified on pole for SCCA Formula 500 National Runoffs, DNF with a broken front spindle. 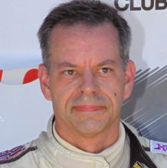 2000 - Won the Runoffs, SCCA Formula 500 National Champion. 2000 - Indianapolis Region SCCA Driver of the Year award winner. 2001 - 3rd place in US Formula Ford 2000 ACC season points. 2002 - 6th place in Fran-Am Championships (Formula Renault 2000) season points. 2003 - Designed and built own SCCA Formula 500 race car (first of two in competition). 2004 - 2nd place finish in SCCA Formula 500 National Runoffs. 2008 - 2nd place finish in SCCA Formula 500 National Runoffs. 2009 - 3rd place finish in SCCA Formula 500 National Runoffs. 2010 - SCCA Central Division National Points Champion in Formula 500. 2011 - SCCA Central Division National Points Champion in Formula 500. 2016 - Won 7 out of 8 races entered and finished in 2nd place in the F600 Challenge Series Season Points. 2017 - Dialing in a brand new car over this season with 3rd, 4th and 5th place finishes but enough to qualify for the Indy Runoffs.